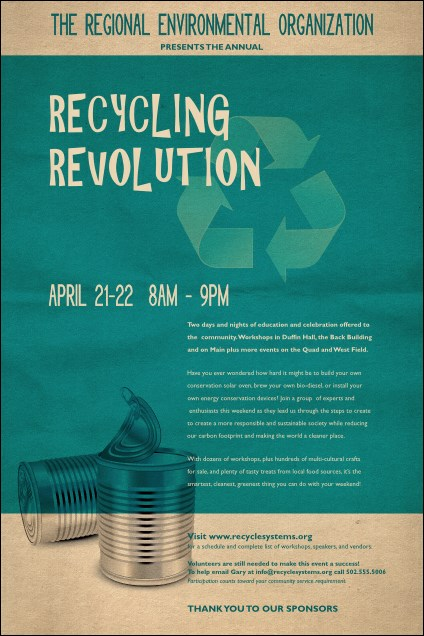 Collect like-minded people with your Recycling Event Poster. Twenty-three lines for your event details will tell them all they need to know. Serene greens and tans, with a background image of a large recycling symbol, will keep everyone's mind on the Earth saving business at hand.